The Sri Lanka travel industry is bracing for the impact of the horrific attack Easter Sunday in the nation’s capital Colombo and in Negombo, where the airport is located. Sri Lanka received 2.1 million tourists in 2017 and had set a target to double that number this year. Free visas to visitors from 30 countries including the U.S.,UK, EU and Thailand are part of this strategy. Currently, Sri Lanka is quiet. It’s a curfew and all roads are closed. The U.S. embassy raised the level of travel advisory for Sri Lanka to level 2: The embassy warned terrorist groups to continue plotting possible attacks in Sri Lanka. Terrorists may attack with little or no warning, targeting tourist locations, transportation hubs, markets/shopping malls, local government facilities, hotels, clubs, restaurants, places of worship, parks, major sporting and cultural events, educational institutions, airports, and other public areas. The White House issued a statement, that the United States condemns in the strongest terms the outrageous terrorist attacks in Sri Lanka that have claimed so many precious lives on this Easter Sunday. Our heartfelt condolences go out to the families of the more than 200 killed and hundreds of others wounded. We stand with the Sri Lankan government and people as they bring to justice the perpetrators of these despicable and senseless acts. In the meantime, Sri Lanka arrested 13 alleged suspects. Another attack on the airport was prevented. 215 people including foreign tourists were killed, more than 500 injured in a series of planned and coordinated attacks on Easter Sunday. On 21 April 2019 bombs were used to attack three churches and three hotels in Sri Lanka, in central Colombo; in the northern suburb of Colombo Kochchikade, and in Negombo roughly twenty miles north of Colombo; and in the east of the country in Batticaloa. There have been significant casualties. If you are in Sri Lanka and you are safe, we advise that you contact family and friends to let them know that you are safe. If you are in Sri Lanka and have been directly affected by the attacks, please call the British High Commission in Colombo: +94 11 5390639, and select the emergency option from where you will be connected to one of our consular staff. If you’re in the UK and worried about British friends or family in Sri Lanka caught up in the incidents, please call the FCO switchboard number: 020 7008 1500 and follow the same steps. Security has been stepped up across the island and there are reports of ongoing security operations. if you are in Sri Lanka, please follow the advice of local security authorities, hotel security staff or your tour company. The airport is operating, but with increased security checks. Some airlines are advising their passengers to arrive early for check-in, in light of increased security screening. The Sri Lankan authorities have declared a nationwide curfew. You should limit movements until this has been lifted, following the instructions of the local authorities and your hotel/tour operator. The Sri Lankan authorities have confirmed that, if you need to catch a flight from Colombo airport, you are able to travel to the airport provided you have both passport and ticket valid for travel that day. They have also confirmed that arrangements have been put in place for arriving passengers. If you live in New York, work in New York or are doing business in New York – there is only one appropriate drink to order…New York State wines. The New York grape, grape juice and wine industries generate more than $4.8 billion in economic benefits annually for New York State. There are 1,631 family vineyards, over 400 wineries, producing 175,000,000 bottles of wine, generating $408 million in state and local taxes (www.newyorkwines.org). New York’s wineries also contribute to New York State’s exports and in 2012, 19.8% of the wine produced in the state was exported. Wineries and satellite operations attracted more than 5.9 million tourist visits in 2012, spending $401+ million. The tourism industry (including wineries, hotels, restaurants, retailing, transportation) contributes over 6400 jobs to the state, for a total of $213+ million in wages. The tourist is particularly important to the farm wineries, with sales direct to consumers representing approximately 60 percent of total wine sales volume. The winery industry directly employs approximately 62,450 people and generates an additional 14,359 jobs in supplier and ancillary industries which supply goods and services to the industry and whose sales depend on the wine industry’s economic vitality. In excess of 101,806 jobs can be linked to the wine industry and these positions average $51,100 in annual wages and benefits. The total wages generated by direct, indirect and induced economic activity driven by the wine industry – $5.2 billon. The 8th Annual NY Drinks NY Grand Tasting offered access to over 200 wines from approximately 50 wineries across the state. Located on the slopes above the southern end of Keuka Lake this winery showcases young vinifera and old hybrid plantings that range from 3-years (representing Cabernet Franc and Vignoles), to vines over 50-years of age (representing Leon Millot and Delaware vines). Thanks to the Finger Lakes, the vineyard produces excellent fruit. The heat of the summer is retained by the lakes and moderates the extreme cold temperatures of the vineyards in winter. As spring approaches, the frigid waters moderate the warming air temperatures and act as a delay for bud break and lower the risk of frost damage. The terroir is a glacial mix of glacially laid rocks, sand, silt and clay that has been deposited on the lower slopes above Keuka Lake providing for water drainage that is essential for vine balance and health. The owner is Mel Goldman and the winemaker is Staci Nugent. Nugent attended Cornell and did graduate work in California in genetics. Making a career switch, she enrolled in the wine program at the University of California at Davis, receiving a Master’s degree in Viticulture and Enology. Nugent has worked with highly regarded wineries that include Ornellaia, Italy; Hardy’s Tintara Winery, South Australia; and William Selyem, Sonoma, California. Before joining Keuka Lake Vineyards (2008), she was a winemaker at Lamoreux Landing Wine Cellars. Sustainable farming practices brings the Vignoles to our attention. The grape is made by crossing Seible and Pinot de Corton, is associated with the Finger Lakes and grows well in the gravel soils (glacial till). Light bright blonde to the eye, the nose is rewarded with lemons, honey, green grapes and sweet oranges, (lemons and oranges) while the palate enjoys citrus and other fruits with the sweetness tempered by a light acidity. Pair with seafood curry, Buffalo chicken wings, pepper and Swiss cheese. Located on the east side of Seneca Lake (Hector, NY) in the Finger Lakes region, the winery started in 1998 by David and Debra Whiting and the 1998 vintage produced 1200 cases of Chardonnay, Riesling, Vida, Cayuga, Cabernet Franc, Cabernet Sauvignon and Merlot. The first white wines were released in July 1999. Whiting is considered to be one of the top winemakers in the Finger Lakes Region. Current production of Red Newt Cellars is apprximately 20,000 cases with a white wine focus on aromatic varities: Riesling, Gewurztraminer and Pinot Gris. CIRCLE Rielsing is the most popular and widely distributed wine, made in a classic Finger Lakes style, with hints on tangerine and honeysuckle, citrus and peach on the palate. At Harvard (Class of 2009) Russell majored in government and minored in economics, was a member of the Glee Club and thought his career would follow a path that would lead to orchestra management. During a study abroad experience in Tuscany he discovered the art and science of making wine. After graduation, when a job with Jazz at Lincoln Center did not materialize, he visited Fox Run Vineyards and thought he had an interview. The staff was busy with the harvest so he was handed a shovel and offered the opportunity to help on the “crush pad.” This was the begnning of his unpaid internships and he got to spend winters in New Zealand and Australia and autumns in the Finger Lakes as an intern. His first salaried position in 2012 was with Red Newt as an assistant winemaker. David Whiting, the co-founder and winemaker, promoted Russell to head winemaker and the rest is history. He currently directs the Red Newt house styles and reserves and develops his own Kelby James Russell label with a focus on small-batch wines, from dry rose to Australian-style dry Riesling. The Niagara grape develops into a long-aged solera sherry, creating a complex palate experience. Bright golden yellow to the eye (think daffodils) with the nose picking up hints of honey, raisins, oranges, apricots, yellow apples, and spices. The finish to absolutely delicious, delivering honey, lemons and spices. Perfect as a dessert course or pair with Blue cheese and pate. DWC was started by Lou Damiani, a Cornell engineer specializing in energy conservation, and Phil Davis. Damiani had an interest in winemaking and his education started in the field of food science before switching to engineering. In the 1990s he returned to study winemaking and mentored under Phil Hazlitt. In 1996 Damiani wanted to plant Cabernet Franc and Merlot and visited an old friend and college friend, Phil Davis, who was also a viticulturist. They started the project and in 1997 Hazlitt pulled out a hybrid vineyard and planted Cabernet Sauvignon, Pinot Noir and Merlot. When their vineyards started producing in 2003 the next step was to make world class red wines. Damiani was the head winemaker from 2003 – 2011 and he trained Phil Arras to continue and improve the DWC tradition. In 2007 Glenn Allen joined as a Business Consultant and later became a partner in the enterprise. Today DWC has four main vineyard sites with approximately 40 acres of land under vine and a new tasting room that hosts events and is the retail outlet. Phil Arras, originally from Philadelphia, moved to the Finger Lakes in 2003 to attend Cornell University and majored in philosophy and political science. Inspired by a class on wine appreciation, Arrras changed his career focus to winemaking. He was hired by Damiani Wine Cellars in 2009 as the assistant winemaker and began “on the job” training. In 2012, Arras became head winemaker. Notes: Damiani Wine Cellars. NV Marechal Foch “Vino Rosso” Finger Lakes. (Varietal may be a cross between Goldriesling and a Vitis riparia/Vitis rupestris or a cross between Gamay Noir and Vitis riparia – Oberlin 595). Deep ruby color to the eye, an undertone of tomatoes runs alongside notes of plums and apricots and the tannins are so soft as to be obscure. Pairings might include pasta, barbeque and smoked gouda cheese. Ted Cupp purchased 150 acres of frontage on Cayuga Lake from Robert and Mary Plan, trailblazers who started the Cayuga Wine Trail in 2001. During 2001 and 2002 he began construction on the winemaking facility and tasting room for the Thirsty Owl. In 2002, in cooperation with Shawn Kime, he planted Cabernet Sauvignon, Syrah, Pinot Noir and Malbec. When the doors to the winery opened in 2002, Thirsty Owl had produced 1200 cases. Today, the Thirsty Owl is synonymous with award winning wines, including the Governor’s Cup and the John Rose award for Rieslings. The Pinot Noir had the highest rated North American Pinot at the Taster’s Guild International Competition. Thirsty Owl produces Malbec and Syrah as well as blends, reds, whites and ice wine. The winemaker and vineyard master, Shawn Kime, is originally from Romulus, New York and attended Morrisville College and Cornell University. Kime started to work in agriculture at the age of 14 and started winemaking after spending 2 years working with one of the earliest Finger Lake Vinifera growers. Notes: Thirsty Owl Wine Company. 2017 Traminette (cross between Gewurztraminer and Joannes Seyve 23.416). To the eye, highlights of golden yellow. The nose finds apricots, peaches, pears, honey and fresh lemons as well as florals (especially roses and tulips) and a bit of spice. The palate is entertained with citrus and lemons, oranges and a bit of earth. The finish brings light acidity making it an interesting dessert wine. Pair with spicy/sweet and sour sauces on chicken, pork and veal and Cheddar, Fontina and Gruyere cheese. In the 17th century, wine was being made by the French Huguenots in New Paltz, New York. Andrew Jackson Caywood started his vineyard in the early 1800s. The community was incorporated as the Village of Marlborough, a cluster of grapes carved in its seal commemorated its major crop (1788). Caywood became an important viticulturist and leading authority in the development of new grape varieties. The Miller family bought the Caywood property in 1957 and renamed it Benmarl. It was purchased in 2006 by the Spaccarelli family. They replanted many abandoned vineyards, refurbished the estate and carry on the tradition of experimentation, planting new hybrid varieties like Traminette as well as Old World vinifera. The Baco Noir, made from estate-grown fruit, brings dark plum hues to the eye, and delivers the aromas of dark plums, cedar and sage to the nose. On the palate are flavors of blackberry with hints of spice. Tannins give it a structure that is delicious and the finish delivers spice and black berry fruits. Benmarl has been producing Baco Noir for 50 years. Pair with pork roast, pasta with meat sauce, beef burgers with blue cheese. The elegant Rainbow Room @ Rockefeller Center was the venue for the New York Drinks New York event. As an important wine trade events, many hundreds of wine buyers, sellers, sommeliers, wine educators, and writers convened to experience a wine-range of quality wines produced in New York State. Brotherhood Winery is the oldest continuously operating winery in America, producing wine for 180 years in Hudson Valley. It features one of the most modern bottling facilties for wine on the East coast, with a capacity of 1.5 million cases er year. A wine current featured focuses on low calories (approximately 90 calories per glass). Glenora Wine Cellars produces award-winning Finger Lakes wines for over 40 years with a focus on sparkling wine and Riesling, sourcing grapes from 13 growers across four of the Finger Lakes. Glenora opened the first winery on Seneca Lake (1977). Robin McCarthy is the owner and winemaker at Saltbird Cellars that started in 2014 and, based on the unique maritime terroir, developed Stainless Steel Sauvignon Blanc, Migratus Barrel Fermented Sauvignon Blanc and Stainless-Steel Chardonnay. Hosmer Winery is located on Cayuga Lake in the Finger Lakes. Grapevine plantings date back to the 1970s and early experiments with plantings of classic Vinifera started in 1985. The 70-acre estate includes Rieslings, Chardonnays, Cabernet Francs as well as French-American hybrid varieties. © Dr. Elinor Garely. This copyright article, including photos, may not be reproduced without written permission from the author. 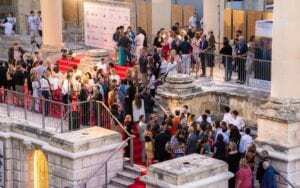 Malta, the first location for Season One of Game of Thrones, plays host to the annual Valletta Film Festival (VFF), June 14-23, presented by the Film Grain Foundation. This year will mark the Fifth Anniversary of this exciting film lovers’ event. 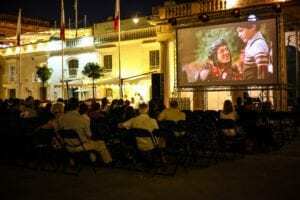 During the ten-day event, Valletta will be transformed into a live cinema with screenings and events taking place in historic buildings and outdoor venues including Pjazza Teatru Rjal and Pjazza San Ġorġ. Over the years, the streets of Valletta hosted various international productions like World War Z, Assassin’s Creed, The Count of Monte Cristo, Game of Thrones and Murder on the Orient Express. Malta offers Valletta Film Festival goers a transformative experience, witnessing where major blockbusters have been filmed while at the same time watching a number of Europe’s newest films. The festival will screen over forty feature films, twenty-four short films, and organizes many different master classes and workshops. VFF 2019 will introduce the first Cinema of Small Nations Competition open to feature-length and short films from small countries in Europe and the Middle East. This competition will put a spotlight on the reality of cinema in small nations, and will highlight the abundance of talent and creativity that is often seen in films produced by filmmakers in these countries. The sunny islands of Malta, in the middle of the Mediterranean Sea, are home to a most remarkable concentration of intact built heritage, including the highest density of UNESCO World Heritage Sites in any nation-state anywhere. Valletta built by the proud Knights of St. John is one of the UNESCO sites and was the European Capital of Culture for 2018. Malta’s patrimony in stone ranges from the oldest free-standing stone architecture in the world, to one of the British Empire’s most formidable defensive systems, and includes a rich mix of domestic, religious and military architecture from the ancient, medieval and early modern periods. With superbly sunny weather, attractive beaches, a thriving nightlife and 7,000 years of intriguing history, there is a great deal to see and do. The Mauritian press has confirmed that Air Mauritius will return to Mahé the main island of Seychelles. It was several weeks since the rumor has been circulating, and finally the news site of the MBC (Mauritius Broadcasting Corporation) confirmed the news. The Seychelles News Agency (SNA) has contacted Air Mauritius to find out when the Air Mauritius planes will begin to fly but was been told that for the moment sales are not yet available. SNA contacted Seychelles’ civil aviation, which also confirmed the arrival of Air Mauritius, which would be the two days that Air Seychelles did not link the two islands. “Air Mauritius has informed us of their intention to resume liaison with Seychelles in July, but we did not have confirmation,” said Florence Marengo, head of the transport department at the Seychelles Civil Aviation Authority (SCAA). However, on the Seychellois side the Minister of Civil Aviation, Didier Dogley said last week that he had nothing official, but recognized that a Mauritian delegation was in the country. He said at a press conference that if it were to be confirmed that this would not be good news for Air Seychelles. The arrival of Air Mauritius will please travelers, who hope for a drop in the price of air tickets. The Seychellois company Air Seychelles was the only airline doing this link and may now have to review its prices which are currently 400 € for two thirty hours of flight. Air Seychelles, recovering from losses, which the Seychelles government had to reinvest, relied heavily on this link in its economic recovery plans. Air Mauritius, which was already linking with Seychelles, decided more than 15 years ago to stop, for economic reasons. Themed “Stimulating intra-Africa Travel through thought leadership,” the 2019 Africa Tourism Leadership Forum (ATLF) is the only Pan-African public-private tourism leadership dialogue platform that is convened, led, and hosted by Africans in Africa. The African Tourism Board is a strategic partner for the event. The 2019 ATLF and Awards will be hosted by Durban KwaZulu-Natal Convention Bureau in Durban, under the auspices of the Provincial Government of KwaZulu-Natal, South Africa from August 29-30, 2019. It is convened by African Tourism Partners with the support of its key strategic partners including BDO South Africa, NEPAD, Africa Travel Associations (ATA) and Voyages Afriq. According to Mr. Sihle Zikalala, Provincial Minister for Economic Development, Tourism and Environmental Affairs in the KwaZulu-Natal, gatherings like ATLF allow thought leaders in Africa to bring into the limelight exceptional industry developments and inspiring stakeholders who work hard to build a sustainable African travel and tourism industry. “As the proud host of ATLF 2019, we look forward to welcoming all stakeholders from across the continent and the rest of the world, not only this innovative event but, also to experience what South Africa and our beautiful Province offer the world. ATLF is an African Project that we must all be part of and support,” says Mr. Zikalala. The 2018 ATLF and Award edition was held in Accra in Ghana. It was hosted by the Government of Ghana through Ghana Tourism Authority and its parent Ministry of Tourism, Arts and Culture. This was attended by Tourism Ministers as well as over 500 public and private sector executives. These included representatives of UNWTO, NEPAD, Diplomatic Corps, Directors-General, global hotel brands, travel management companies, associations, regional executives of airlines, tour operators, educational institutions, researchers and many other industry professionals. Kwakye Donkor, Africa Tourism Partners’ (ATP) CEO congratulates KwaZulu-Natal Province for winning the bid to host the 2019 ATLF and Awards. “The Provincial Leadership has truly exemplified true values of thought leadership by aiming to bring together industry leaders in Africa to Durban, to once again advance their commitment to promote intra-Africa travel, dialogue and recognize change-makers in Africa’s tourism development as a collective,” says Donkor. The Africa Tourism Leadership Awards recognizes the best African travel and tourism industry change-makers and innovators. For strategic partnerships, attendance or more information, please contact Ms. Nozipho Dlamini at: nozipho@africatourismpartners.co.za and +27 81303 7030.